Laser eye surgery is typically considered an elective surgery, which means that your insurance company will most likely not cover the cost of LASIK. Regardless, it is still worthwhile to check with your insurance provider, because there are people with select qualities such as job-based need or medical conditions who may qualify for insurance coverage. Breaking the cost of LASIK into monthly payments can be a reasonable financial option. Illinois Eye Center offers the CareCredit Card, which allows you to begin your procedure immediately with no up front costs or pre-payment penalties. CareCredit also allows you to make low monthly payments so you don’t have to wait to improve your vision. You may also consider financing your LASIK eye surgery through a flexible spending account (FSA), a tax-free way to save for LASIK. An FSA allows you to use pre-tax income for medical-related expenses. 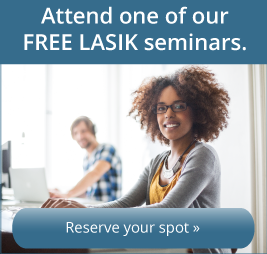 You can create this LASIK financing program by saving part of your salary each month in a tax-free FSA. Once you are ready for the procedure, you can use the money saved in the account. This option is only available through employer-sponsored vision benefits and FSAs. The one downfall to this program is that it does have a “use it or lose it” stipulation. Any money set aside that isn’t used up by the end of the year is lost and won’t roll over to the next year. For that reason, it is important to plan in advance how you will use your dollars. However you decide to pay for LASIK, you can feel confident knowing that you’ve made an investment into the future of your vision. Learn more about the CareCredit card today or call our office at (309) 243-2400.